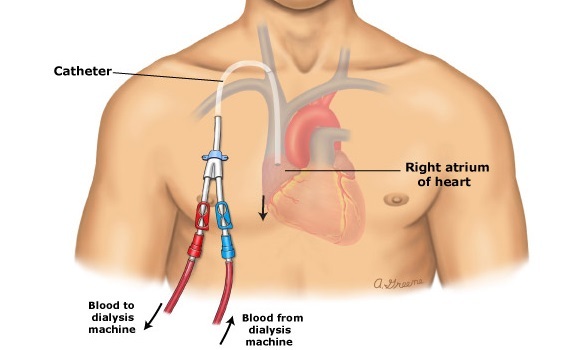 The intervention specialists are trained in the diagnosis and management of conditions needing intervention in areas other than transplant and hemodialysis. 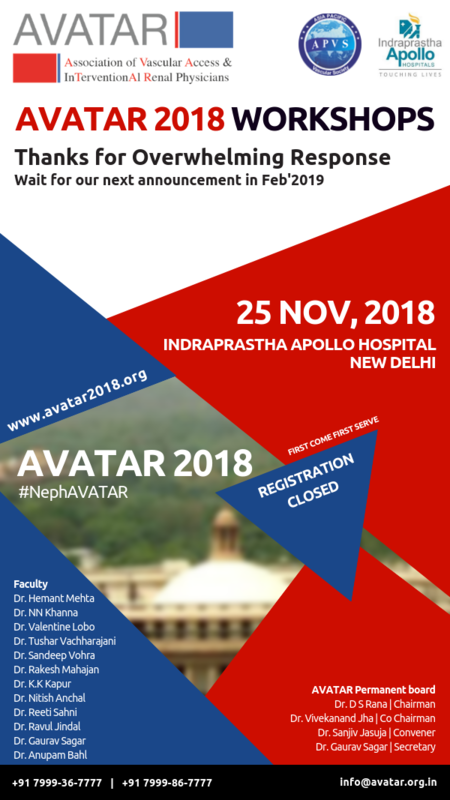 The AVATAR seeks to advance excellence and innovation in INTERVENTIONAL Nephrology through education, advocacy, research, and public awareness. The organization was founded in July 2012 and currently has a membership of more than 70. Promote, encourage, and improve the dissemination of knowledge concerning all aspects of Interventional nephrology including creation of vascular access, salvage procedures of failing vascular access, CAPD catheter placement and manipulations, Innovative Biopsy techniques and procedures of Critical Care including MARS, CRRT, Plasma exchange and PMX column etc. 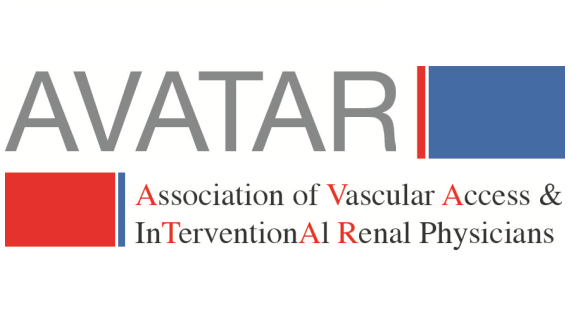 Serve as a strong advocate for members in all areas of vascular surgery, and endovascular interventions, Nephrology, Intervention radiology and Critical care experts. 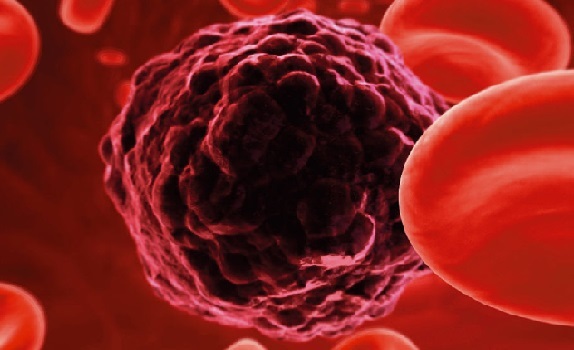 Improve the diagnosis and management of renal patients needing intervention. Clearly define the role of surgery, endovascular interventions, and medical management in the treatment or monitoring of renal related interventions. Promote the development and implementation of new technology for diagnosis and treatment of interventions for renal patients. Address social, economic, ethical, and legal issues related to vascular intervention nephrology.